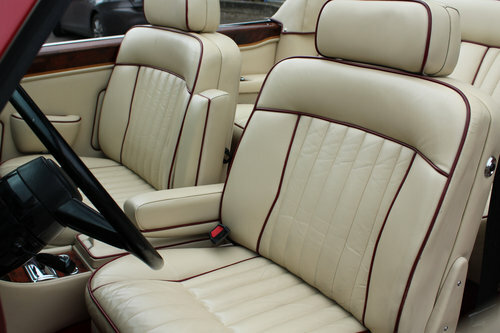 Bill Allen from the Styling Department at the Crewe factory had been responsible for designing the timeless elegance of the H.J. 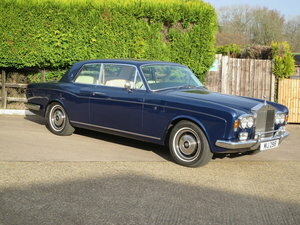 Mulliner Park Ward, two door saloons which later developed into the iconic Corniche. 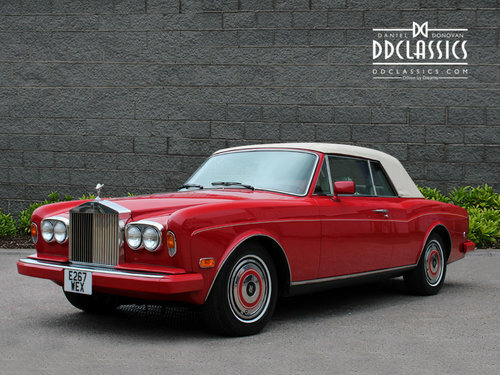 Launched officially in 1971 its name derived from the Grand Corniche, the famous touring roads of the French Cote d’Azur . 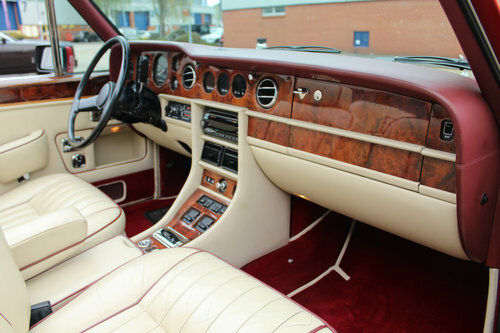 The 1987 model year Corniche, with the fuel injected engine, updated interior with features such as memory seats & ABS brakes as standard were great features of the newly named Corniche II. In addition to these cosmetic changes the new model benefited by producing 14% more power from the new fuel injected engine over the previous four barrel Solex carburettor set up. As per the factory build sheets, this lovely example is finished in the original colour combination of Vermilion with Parchment hide, Vermilion piping and brand new Cream Everflex hood. Standing proudly on four brand new, period correct Avon Turbospeed whitewall Tyres. 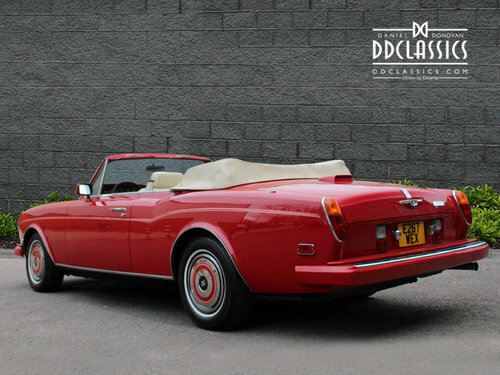 Ready and waiting for its next lucky custodian for immediate summer driving on the iconic Cote d’Azur roads. 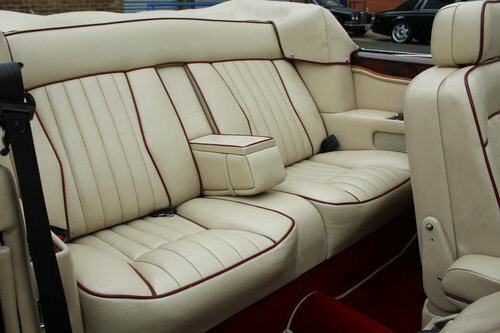 Please come and view the car at our Brentford showroom. "PARLEZ FRANCAIS OU ITALIEN " Parfait état - Carnet de service suivi agence - Service moteur OK - Expertisée - reprise possible. 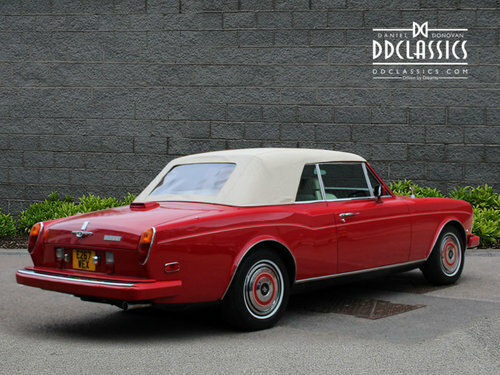 This 1967 Rolls-Royce Corniche Coupe RHD is an excellent original car for restoration that's been sitting for quite some time. Blue with blue interior. A very collectible car and a very rare find $10,750.